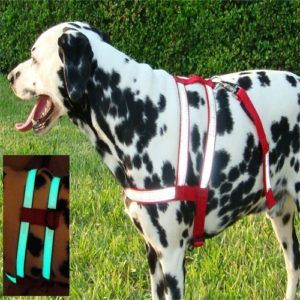 Not only do our harnesses keep your pets safe by reflecting light or glowing in the dark, they also keep your pet safe in the car. 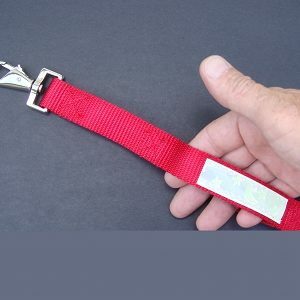 In an accident, pets can become a dangerous projectile. 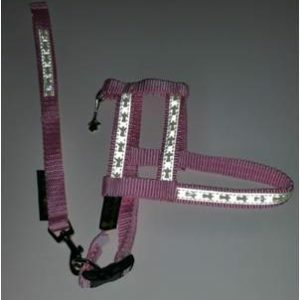 All of our harnesses include a short Quick Release leash that allows you to easily keep your pet secure while travelling. 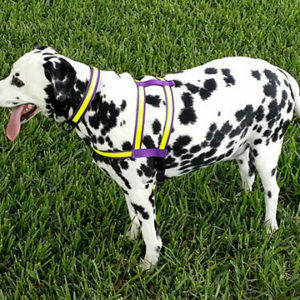 Our harnesses have a standard D-Ring on the top of the back, but unlike other harnesses the Co-Leash Dog Harness also features a D-Ring underneath so the dog may stand while being hooked up or while in motion.